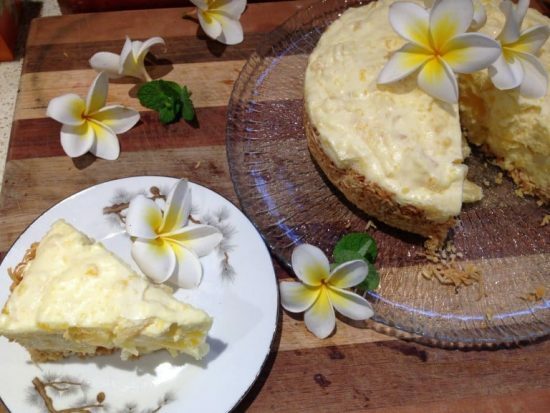 You have to try this amazing Tropical Pie! It’s heaven on a plate and looks and tastes great. This dessert will win over everyone that has a slice. Don’t miss this! 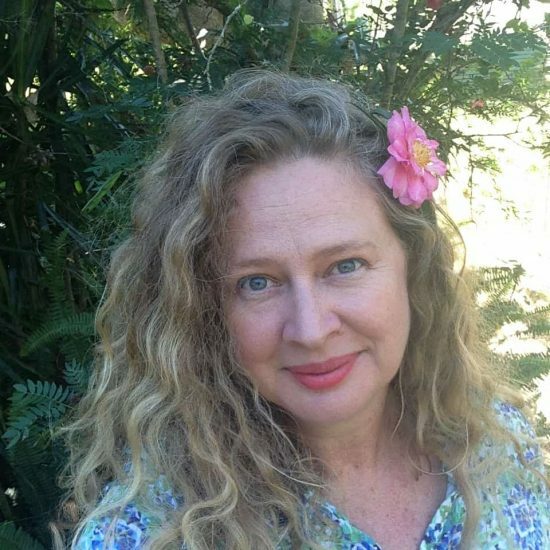 Favorite contributor, Nicole Cody of Cauldrons and Cupcakes, is showing us how to make her Moms Tropical Pie. It certainly has fond memories for Nicole and she cheerfully boasts it’s a childhood favorite. It’s easy to see why! We can’t wait to roadtest this one and you won’t be disappointed! Her Mother used to bake this Pie in Summer, whenever they had a BBQ or if her family was invited somewhere for a meal. 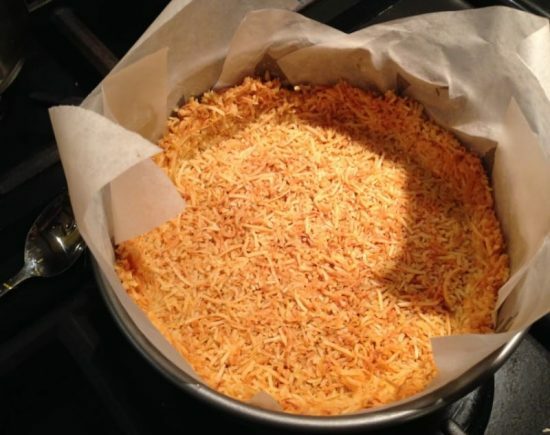 The crust is made completely out of baked coconut, which we think is reason enough to love this pie! But the filling gets even better! 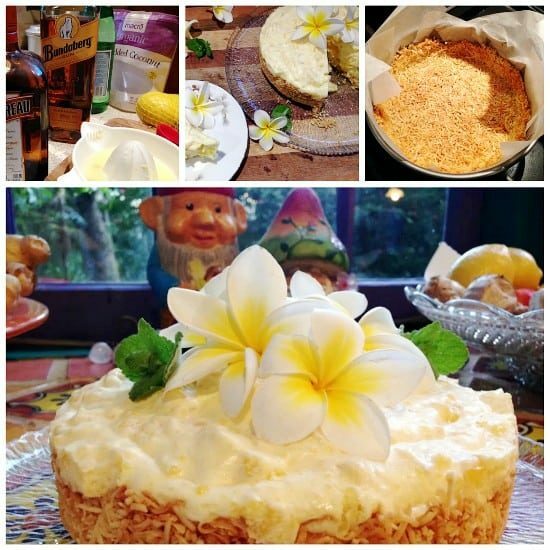 Pineapple pieces in a cream filling – and the option of adding in some Cointreau and Rum, make it even better! If the photos are anything to go by, we are not going to be disappointed! So let’s take a look at your shopping list. You will see that you only need 2 simple ingredients for the Crust and a handful for the filling. 1. Grease a 9 inch/23 centimeter pie plate, or use baking paper to line a springform tin of the same dimensions. 3. Add the coconut to the melted butter, mixing well. Press firmly into the base and up the sides of the pie dish. If you don’t press firmly, the base will not hold together. I like to use a cup or glass with a firm base and straight sides to really press that crust well. 1. Empty and save the juice from the can of pineapple, then add enough water to make 1 and 1/2 cups. Place juice in a small saucepan. Add the sugar, lemon juice, and lemon zest, and then sprinkle the gelatine over the top. Place over moderate heat, and bring to boil, stirring constantly. Remove from heat. 2. Beat egg yolks until thick and foamy. 3. Gently pour a small amount of the hot liquid into the yolks, whisking all the while. Continue whisking and add the hot liquid very slowly until it is all added. Then add in the rum and Cointreau. 4. Chill this mixture until it has the consistency of unbeaten egg white. 5. Beat the egg whites with the pinch of salt until stiff. 6. Beat the cream until thick. 7. Fold the drained pineapple and cream into the egg yolk mixture. 8. Then gently fold in the beaten egg whites. Spoon into the pie crust and chill until well set. Serve on its own or with some cream or a good ice-cream. Thank you so much, Nicole, for sharing another great recipe with us. We can’t wait to make it! Connect with Nicole below.